Torque Solution motor mounts are made from high grade billet aluminum material, polyurethane bushings, and steel pins. These mounts can be seen on some of the fastest street and track EVO's in the world. These mounts have been tortured tested and proven to hold over 1000HP and 8sec 1/4 mile e.t's. 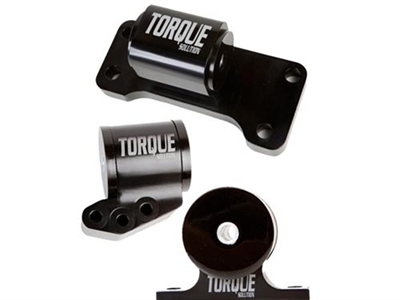 3 piece Torque Solution Engine Mount Kit for your Evo.